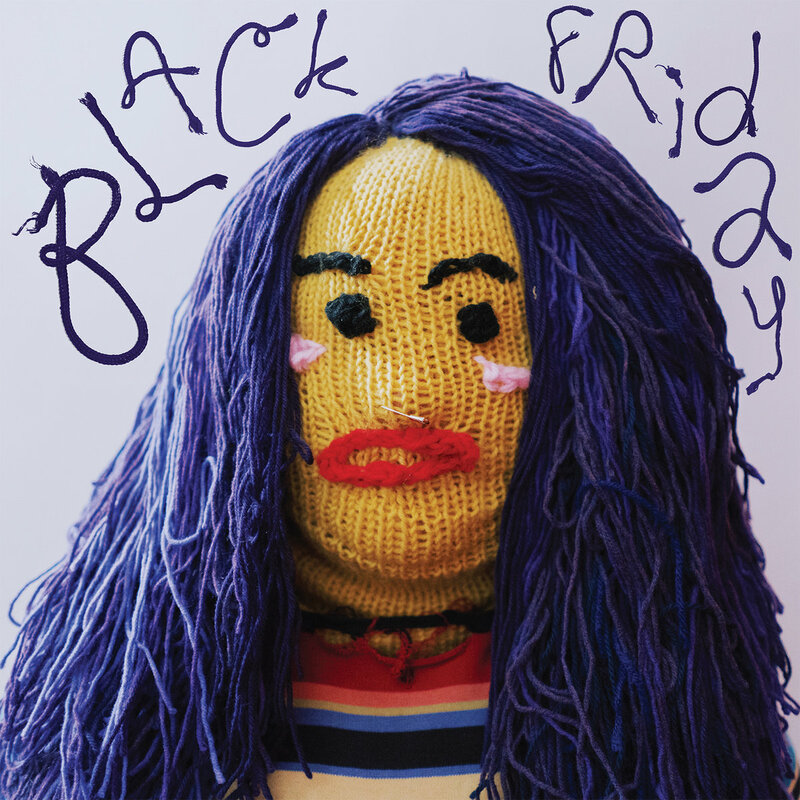 Tags: Black Friday, Boston, Ellen Kempner, Jesse Weiss, Larz Brogan, Palehound, Polyvinyl Record Co.
Boston-based trio Palehound have announced their third album, “Black Friday”, marking the occasion with the release of their lead single “Aaron.” The forthcoming record, due out on June 7th via Polyvinyl Record Co., examines love and the many different ways it can take shape in our life. “Aaron,” in particular, explores love of one’s own body, and connects to singer/songwriter Ellen Kempner’s partner. “Aaron” is a character that represents my partner, who is trans. It’s not specific to his experience though, the song is about change in relation to our bodies in general. It’s about learning to be comfortable in our skins, whether that means changing our bodies or mindsets. Robert Kolodny directed the video and captured this theme perfectly through portraying physical insecurity as living in an unruly, amorphous body and gradually shedding it. The video for “Aaron” takes Kempner’s gentle, heartfelt storytelling and gives it an artistic texture that is both fitting and unexpected. Kempner sings underneath a knitwear mask, crafted by Gaudmother, as a figure runs around the streets in a ghillie suit made out of yarn. In the end, both figures take off their knit masks and are haloed by light, a visual representation of their own newfound self-love and body empowerment. What I always want to do with my songs is to help people heal in some way, or come to some new understanding about whatever it is that they’re going through. Even if it’s just hearing a song and feeling less alone than they were before, that would mean so much to me. Kempner produced the record with Gabe Wax (Beirut, Soccer Mommy). Palehound recorded their latest project at Panoramic House in Stinson Beach, Calif. Such a great song! Such a Beautiful message!